The Pure Baby Love ring sling is ultra-soft and easy to use! It is suitable for babies (from day one) and toddlers! Do you prefer to carry your baby in a Baby wrap? Click here! Ring Sling Blue - Last pieces! 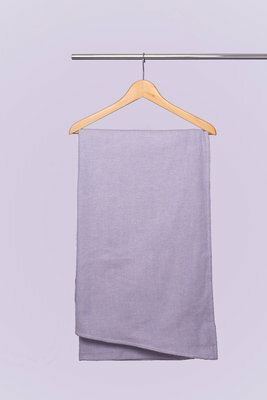 Ring Sling Purple - Last pieces! Our ring sling is made of the same ultra-soft fabric as our baby wraps; 100% cotton, ultra-soft, smooth and extremely user-friendly. Two mat silver rings perfectly match the colours of the slings. The ring sling fits every outfit. When do you use the ring sling? 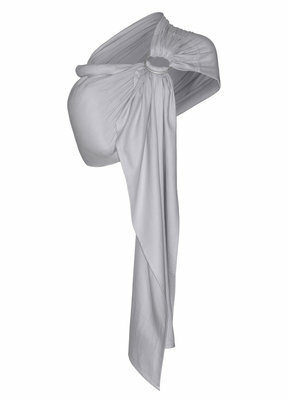 A ring sling is suitable for carrying babies (as of day one)but also toddlers. 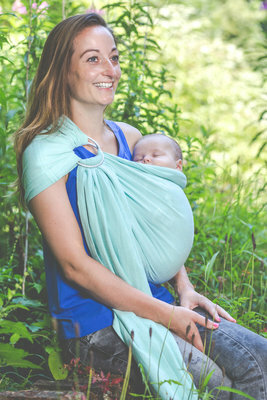 A ring sling is a fast and comfortable babywearing method to carry your baby/toddler. You can carry your baby/toddler either on your front or hip. Because a ring sling has less fabric, it easily fits in your bag so you can take it easily with you. For example you can use the sling doing the groceries and carry your baby close to you, not having to take that heavy maxi cosi with you also. You can also use the sling in all kinds of other situations. For example, your child is upset and you want to console it, not having to use the full sized baby sling. You can use it to carry your toddler who switches walking with wearing. 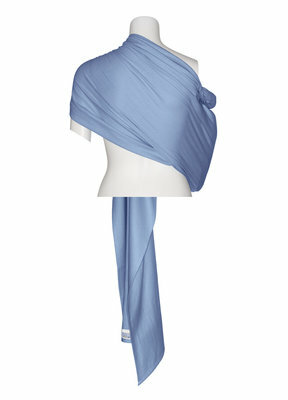 In short: a ring sling is a great all rounder. It is pretty easy to learn how to use a ring sling. On our website you can find an easy instruction which, of course, is also added to your order as well. Still too difficult? 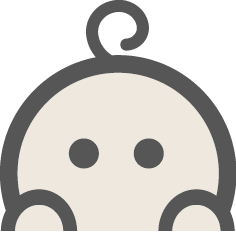 Contact a baby wearing consultant close to you. She easily can teach you the tricks of the trade. Would you like to buy a ring sling? Choose your favourite here!